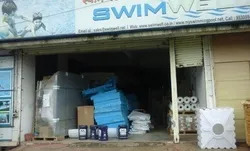 Incepted in 2007, Swimwell FRP Pools Private Limited has emerged as the renowned and the only company in India which installs a complete range of Pool and Spa products. Owing to the expertise in the field, we fabricate and install a wide range of swimming pools with FRP filtrations systems and other lifestyle products. Our range complies with international standards at all levels, besides being very much affordable. Helping us to achieve prompt success through the quality products we have state of the art production facility. Provided with the latest machinery our unit comprises of manufacturing unit, design unit, quality control unit and research unit. Our facility is environment-friendly. Making the best use of our resources, we have a specialized team of professionals with us. We have five installation teams of employees, in various parts of the country to ensure great professionalism in product installation, quality control, and research & development. Owing to the expertise in the field, we fabricate and install a wide range of swimming pools with FRP filtrations systems and other lifestyle products. Our range complies with international standards at all levels, besides being very much affordable. Our range is well suited to be installed in apartments, bungalows, gardens, farmhouses, hotels, resorts, schools and clubs. 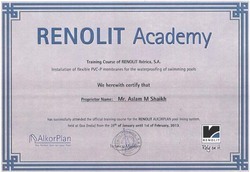 Under the able guidance of our mentor Mr. Aslam Shaikh, we have achieved new feats in a very short span of time. 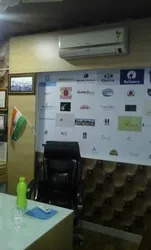 Celebrities, Resorts, Hotels Industries, Farm Houses, Residential complex, Club House. Appreciated in the market for fabrication and installation of a complete range of pool and spa products, we have achieved proficiency in the field. Our range is developed industrially to meet international standards. Our quality experts conduct stringent tests to ensure the launch quality of our products. Backing our endeavors to become a leader in the complete in fabrication and installation of a complete range of pool and spa products, we have state of the art production facility. Our production facility which is equipped with latest machinery our unit comprise of manufacturing unit, design unit, quality control unit and research unit. Our facility is environment friendly. Making the utmost use of our state of the art facilities, we have a highly efficient team with us. Our team has been instrumental in making us successful in all our ventures. Our team consists of individuals who are experienced in their respective areas of their work. We have five installation teams, in various parts of the country to ensure utmost professionalism in product installation, quality control and research and development. Our quality analysts ensure total quality management. S2 Realty & Developers (Mr Sunil Shetty)-Lonavala Bungalow Project. Our elegantly engineered product range of pool and spa products finds extensive use in apartments, bungalows, gardens, farmhouses, hotels, resorts, schools and clubs. Since we never compromised on the quality of our products, this has helped in making our product reach far and wide. We have fully established ourselves in the domestic market and looking forward to make ourselves reach the markets abroad.